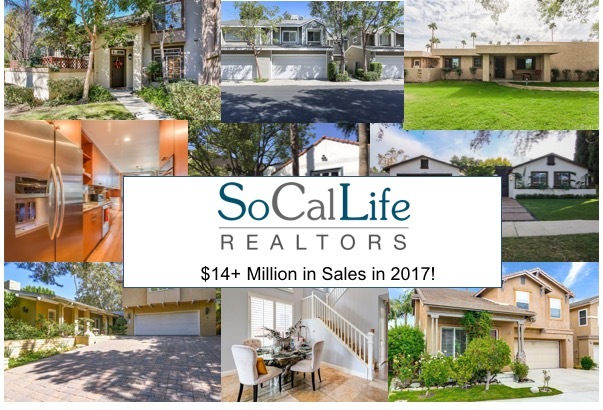 On behalf of SoCal Life Realtors, we wanted to wish you a very Happy New Year! We also want to say THANK YOU to all of our clients and we are so grateful for the opportunity to serve so many amazing families and individuals. We are aiming to help at least 100 families in 2018 and need your help to spread the word! Your referrals are the heart of our business, so if someone you know is thinking about buying or selling a home in 2018, give us the opportunity to help them achieve THEIR goals!